Shravasthi(in Sanskrit) or Savatthi(in Pali) was the capital of the kingdom of Kosala which was ruled by King Prasenajit(Pasenadi in Pali) who was a follower of Buddha. It is situated about 176 kms from Lucknow in the north Indian state of Uttar Pradesh. It is one of the important places of pilgrimage for Buddhists as the Buddha spent a greater part of his monastic life in Shravasthi. It was in Shravasthi that Lord Buddha transformed the dacoit Angulimala into a monk. Buddha had a lay disciple Anathapindika or Sudatta a wealthy merchant in Shravasthi who was so attracted to Buddha and his teachings that he wished him to come and stay there. To facilitate this purpose he purchased a park near the town paying a huge amount of money to Prince Jeta the son of King Prasenajit who owned the park and built a large monastery on it. It was named the Jetavana Monastery and it was here that the Buddha spent most of his years and gave the maximum of sermons and discourses. Hsuan Tsang the Chinese traveller in his records states that during its most magnificent period Jetavana had meditation halls, temples, monks chambers, a hospital, bathing places, shaded tanks and a library with reading rooms. They were built by Anathapindika and by King Prasenajit. The park with its buildings was referred to as the Jetavana Grove. One of the first statues of the Buddha was built by Prasenajit and made of hardwood which was placed in the Jetavana. Many miracles are said to have been performed by the Buddha here. Some state that initially it was a seven storey building which was burned down and the two storey structure was later built in its place. They mention a number of Stupas in the park commemorating various events. One marked the occasion when the Buddha bathed and nursed a monk who was unattended and languishing in his own filth. He exhorted the other monks to care for each other in the future similarly while pursuing their spiritual path diligently. 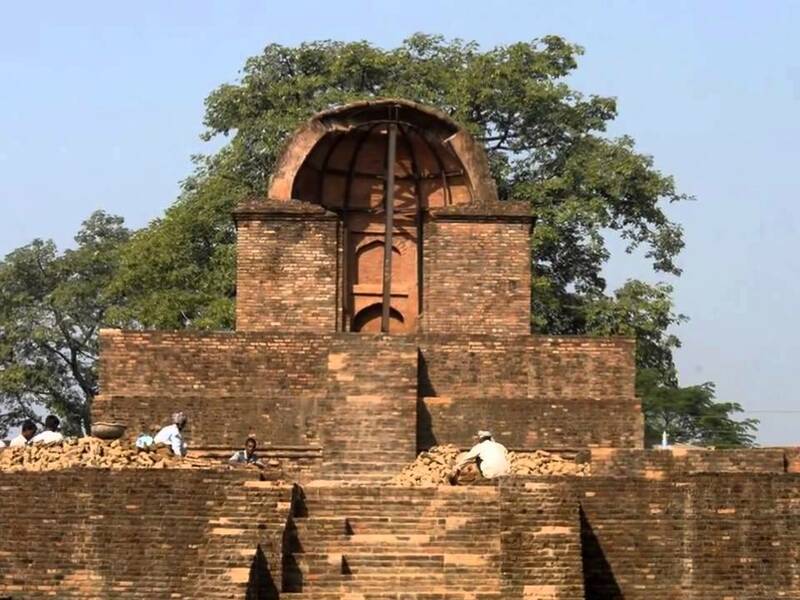 Archaeological evidence shows the Ashoka period as one of the most flourishing periods and later a revival during the Kushan period of the first century with much reconstruction work in the Vihara. This was followed by the Gupta period when the Jetavana received more support. Shravasthi is best remembered for being the place where the leaders of India’s six main philosophical schools had challenged the Buddha to a contest of miraculous powers and scholarly acumen. King Prasenajit built a hall especially for the event. Buddha performed a number of miracles for eight days along with his preaching and defeated his opponents. Both Chinese pilgrims Fa Hien and Hsuan Tsang describe a tall temple containing a Buddha statue commemorating these events. Maheth has been identified with the remains of the city proper and it covers an area of about 400 acres. It is the actual site of the erstwhile Shravasthi city. It was the site of numerous Stupas and shrines. It was abandoned and forgotten for a long period and only when excavations works were carried out in the early 20th century did the site regain its prominence. The ruins now include two stupas Pakki Kuti and Kachchi Kuti. Pakki Kuti is said to be that of Angulimala the dacoit who became a Buddhist monk influenced by the Buddha and Kachchi Kuti is said to be that of Anathapindika Buddha’s lay disciple who was responsible for donating the Jetavana Grove and the Viharas to Buddha and his disciples. 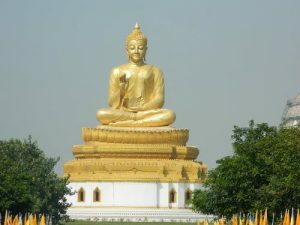 Buddha’s close disciple Ananda planted a Bodhi seed at Jetavana which was brought from the sacred Bodhi tree at Bodh Gaya to enable the monks to pray under it in the absence of the Buddha. When the tree grew the Buddha blessed it by meditating under it one night. This is now the Ananda Bodhi tree. 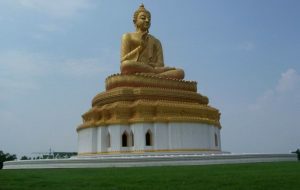 Near Jetavana Vihara are a number of monasteries and temples such as Chinese, Burmese, Thai and Sri Lankan where prayers and meditation activities are practiced. Near these monasteries there is a beautiful park which has a large bell donated by the pilgrims from Japan. Nearest Airport is Lucknow – 176 km, from where Shravasthi can be reached by rail upto Balrampur via Gonda. Nearest railway station is at Balrampur: 17 Km. The rest of the route can be covered by road. Bus services are available from all major neighboring centres. Shravasthi is 119 km from Basti and 17 km from Balrampur.
. Burmese Temple Rest House.
. Chinese Temple Rest House. Shravasthi occupies an important place in Buddhism as many of the important events in Buddha’s life took place here. There was a forest near Shravasthi called Andhavana where the monks and nuns used to live before the Jetavana Monastery came into being. The story of the Jetavana Monastery is related in the Miscellaneous Agama Sutra and the Karandavyuha Sutra. 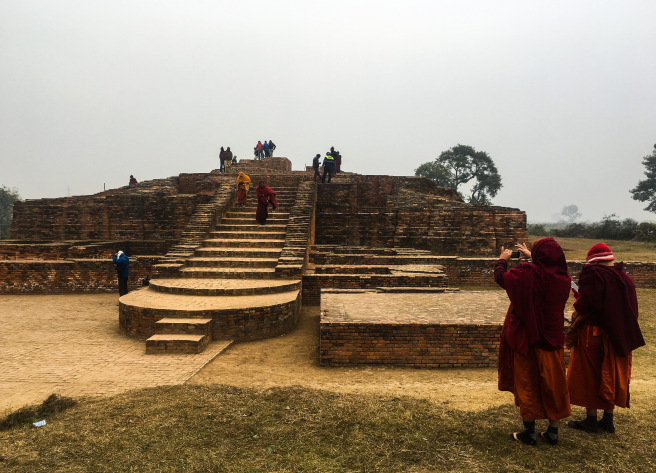 The miracles that Buddha is said to have performed here and the sermons that he preached for more than 20 years hallowed the place rendering it pure and sublime. Pilgrims visit this place to bask in its spiritual purity which helps them in their quest for perfection and enlightenment.